It was a chaotic free-for-all, but at least there were no GOATS. Last night at the Overwatch League, the record for heroes played for at least one minute was broken in the match between the Washington Justice and Chengdu Hunters. Twenty-seven different heroes were played in the four-game series. The two teams played every hero except Ashe, Roadhog, and Reaper in a match that can only be described as an astonishing turnaround from stage one. 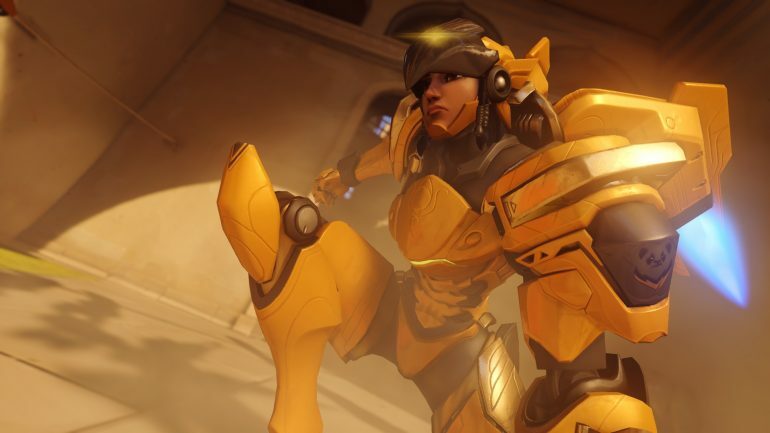 The notorious triple-tank, triple-support composition (GOATS) isn’t gone just yet, but it’s been nerfed. It’s still seeing play time at the highest level of Overwatch, but it looks like stage two could offer a much larger hero pool. Confirmed by @CaptainPlanetOW. Justice vs Hunters is a new @overwatchleague match record for heroes played more than 1 minute at minimum, with 27 different heroes used. Ashe, Roadhog, and Reaper were not used. Chengdu Hunters won the series 3-1, claiming their second win of the stage—but the real winners were the audience. The match was a refreshing change from the uniform GOATS meta. And while it may have been chaotic at times, and somewhat less competitive, it was an entertaining experience. The back-and-forth action and the super fast-paced brawls were a reminder of Overwatch’s origins. The overall takeaway from the series was that the meta is evolving. And while it might not be perfect just yet, it’s dramatically growing as the stages develop. The next match in the Overwatch league kicks off on Thursday, April 12 between Paris Eternal and Florida Mayhem.